Why is Obama's name different on passport? In this era of tight airport security, the Transportation Safety Administration typically will not allow a passenger to board an airplane if the name printed on the ticket differs from the way it appears on government-issued identification. 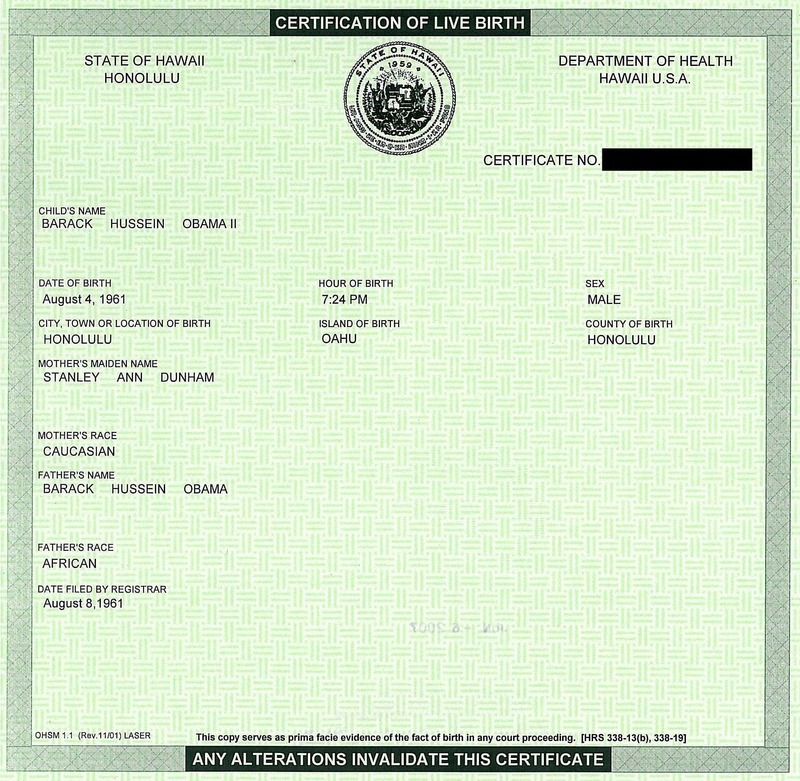 Now that the White House has released President Obama’s purported long-form birth certificate, a question arises as to why the name on that document does not match the name on his State Department passport. Note that Obama’s name on his passport is listed as “Barack Hussein Obama,” without the “II” the Hawaii documents list to indicate Obama was named after his father. As seen below, U.S. State Department passport regulations require first-time applicants to submit an embossed birth certificate, complete with registrar’s stamp, that lists the applicant’s full name. Presumably, the State Department intends to use the full name presented on the birth certificate as the name presented on the passport. Since Obama has refused to release his passport records, it is impossible to determine what documents were submitted to the State Department to obtain the passport.